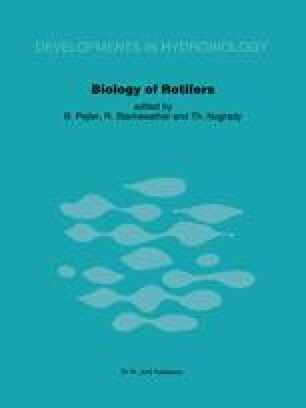 Twenty species of planktonic rotifers were important in Lake Biel during 1978. Eight species were present throughout the year, four species occurred only in spring and eight species in summer or autumn. Rotifer numbers attained two major maxima, one in May (19.3 106 ind. m-2) and one in August (16.5 106 ind. m-2). Predominant genera were Synchaeta, Polyarthra, Conochilus, Asplanchna and Keratella. Within the genus Synchaeta a succession of different species was observed.